Unify mother's ring is made of polished 14k white gold. 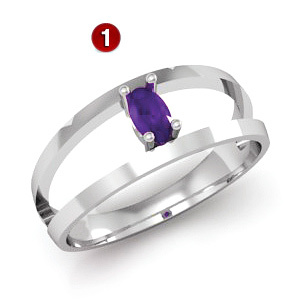 This ring offers one 5mm x 3mm oval simulated gemstone of your choice. Gold content weighs 4.34 grams. Made in USA.